Not many people enjoy waiting. Even the most patient ones can’t stand the feeling of wasting their own time. Waiting for that friend who is late for a scheduled meeting; waiting on the phone; waiting for a response; waiting in a queue in a fast food restaurant; waiting in a middle of a traffic jam – in our day-to-day activities, there are plenty of situations where we may get that feeling. In order to avoid that, next time, we will choose another quick-service restaurant or find a different route where the traffic is limited. In both cases – we will make a choice based on our past experience to try to avoid wasting time. Now think about someone who is in a rush for an important meeting. He stops by your fast-food restaurant to grab a coffee or a sandwich. Make him wait for a few more minutes and you won’t see him visit your place ever again. Even worse – according to American Express’ 2017 Customer Service Barometer, Americans tell an average of 15 people about a poor service experience compared to only 11 should the service be good. The easiest way to ensure a great service in your fast-food restaurant is to provide the customer with the opportunity to order easily, independently and in a matter of seconds – by installing a Self-Order Kiosk. The benefits for your business are numerous – from better customer experience and satisfied clients to higher revenues and decreased costs. Serving great food or delicious beverages at reasonable prices may have been the recipe for successful quick-service restaurants a few years ago but now, consumer’s expectations are increasing. Deloitte’s “Through guests’ eyes” report points out that restaurant visitors now want to be heard, to feel engaged, delighted, empowered and most importantly – to experience a more personal approach. And the one true way to mess all that up is to waste your customers’ time. Nowadays, guests want to feel respected. You can do that by starting from the most valuable asset – their time. Customers usually visit a fast-food restaurant with the one and only goal to have a quick drink or meal. Anything else that they don’t expect can either turn into an obstacle or an opportunity for your business. Leave them waiting for their order and you will significantly harm their overall experience. On the other hand – process their order in a reasonable time, surprise them with some perks, offer them comfortable ways of paying their bill and you will pave the way to turning them into regular visitors. Apart from the pleasant experience of your clients and the increased customer retention rates, ensuring the streamlined service in your restaurant brings plenty of other positive benefits as well. A better and more efficient service will help you handle more clients which will result in higher customer turnover and increased revenue. 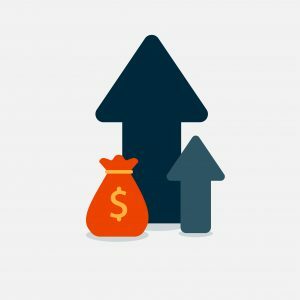 The increased revenue means more budget for marketing, promotional activities, new equipment, etc., which in the end will bring you… more customers. By investing in a Kiosk, you basically ensure the significantly optimized order processing service in your restaurant. The self-ordering infrastructure provides customers with the opportunity to make an order in a matter of seconds. All they have to do is browse the digital menu and choose their preferred items. They have the flexibility to add specific instructions that will then be fired directly to the kitchen or the bartender. That way, the risk of a mistaken order is minimized, while the customer experience will improve significantly. Apart from streamlining the whole ordering process, Kiosks are renown for the benefit of cutting costs. A Self-Order Kiosk can easily replace a regular full-time employee while at the same time saving the business owner thousands of dollars per month. Some restaurants, for example, operate only with baristas and cooks. All order processing services are delegated to Kiosks. By having such a solution at your disposal, you may opt to hire fewer people, thus reducing the overall labor costs. If a client stops by just to get a coffee, the last thing he should experience is to wait in a queue. No one is willing to wait 5 minutes to grab some a coffee when a few meters down the street, there is another place he can visit. By installing a Self-Order Kiosk, you are adding additional checkout points. Bear in mind that customers are always willing to take advantage of innovative, time-saving ways to order. A Kiosk is just that – saves time, cuts the need of waiting in queues and most importantly – provides the customer with flexibility. A Self-Order Kiosk allows you to present all your items in an aesthetic and visually-appealing way by designing a digital version of your menu. That way, customers can easily browse through it and choose their preferred option. They can get all the necessary information about price, ingredients, cooking methodology, serving time, etc., which makes the ordering process easy and comfortable. That way, your staff is not required to explain in-depth information about a specific meal or beverage, which usually slows down the ordering process and results in long queues. Self-Order Kiosks provide you with the opportunity to gather important information about the preferences of your customers. That way, you can easily analyze the performance of your business and better identify the ways to further optimize your service. 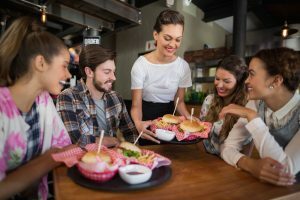 Finding out what your guests want and when they want it, can help you organize efficient sales strategies and boost your overall restaurant’s performance. Self-Order Kiosks, when combined with POS infrastructure, is a great way to optimize the processes within your restaurant. Most of the time, a staff of 2 – 3 and a few Kiosks can guarantee a way better customer experience when compared with quick-service restaurants with more staff, but lack of appropriate process management and organization. By providing your customers with a seamless service, you are making a statement that you value their time as much as you value their business. The benefits of Self-Order Kiosks are recognized even by the leaders in the industry. 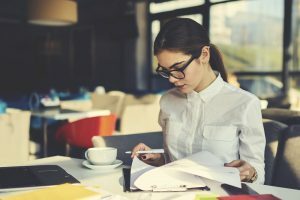 Multi-billion businesses are already equipping their stores with such infrastructure that will allow them to optimize their service and process more orders in less time. 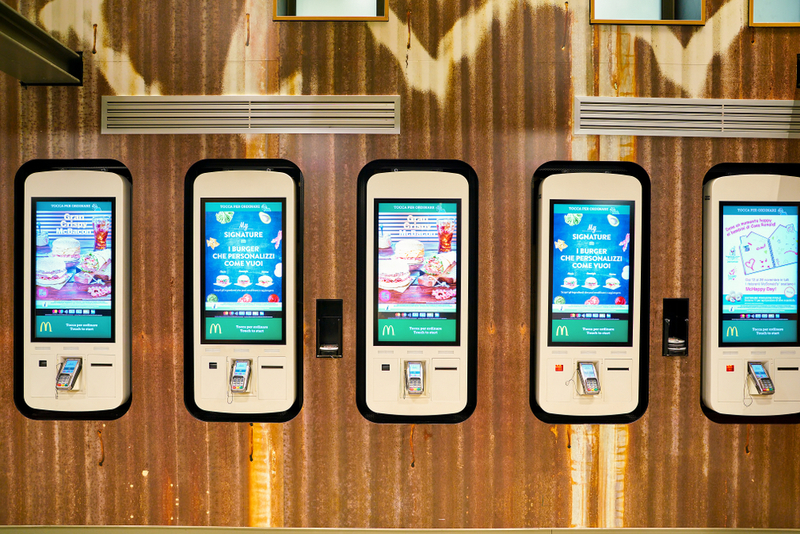 McDonald’s goal is to equip each and every US store with Self-Order Kiosks by the end of 2020, as a strategy to adapt to changing consumer preferences. And it is not just McDonald’s. Taco Bell, for example, is planning to add kiosks to all their locations around the US by the end of 2019. Wendy’s and Burger King have also joined the group. The fact that even the big players within the fast-food industry are planning to modernize their operations shows that no matter who you are if you don’t innovate, you will be left behind. It is clear that, in the long term, all restaurants will function in the same way. The digitalization of the restaurant industry provides great opportunities for those, who decide to act first. And those who refuse to innovate will be, slowly, but steadily, phased out of the market. By visiting your restaurant, customers are basically devoting you their time and putting their trust in you, to satisfy their needs. The last thing you want is to waste such an opportunity. In an industry that is so competitive, the one and main goal of each and every restaurant owner should be to attract and retain customers. According to Deloitte, a positive experience will cause 60% of guests to dine at the restaurant more frequently. This basically means that ensuring the good and professional service is a long-term investment that will surely pay off. A huge opportunity to miss, right?